Optionally, the administrator can configure a category to be automatically followed by all users when they join. To configure this for a category, go to Admin > Categories and select the category. 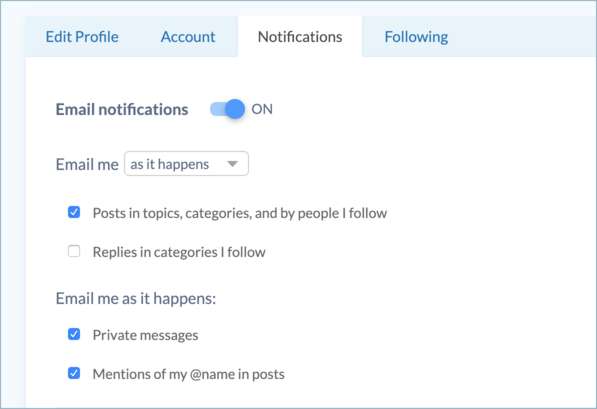 Under Notifications select New users automatically follow, then click Save. Member email notifications have a default frequency of daily. Contact us if you would like to change your community default. 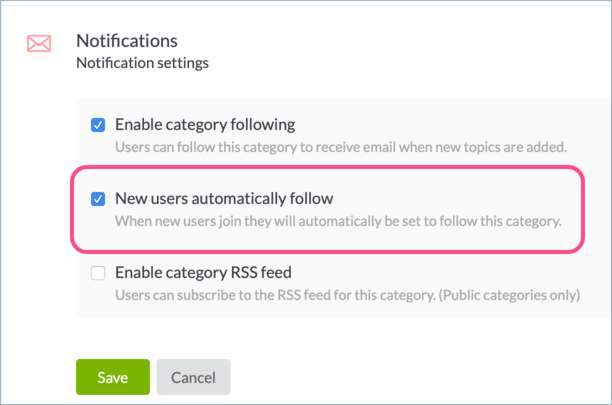 Replies for followed categories are not included by default in email notifications. Users can update this setting here as well. Contact us to change your community default.